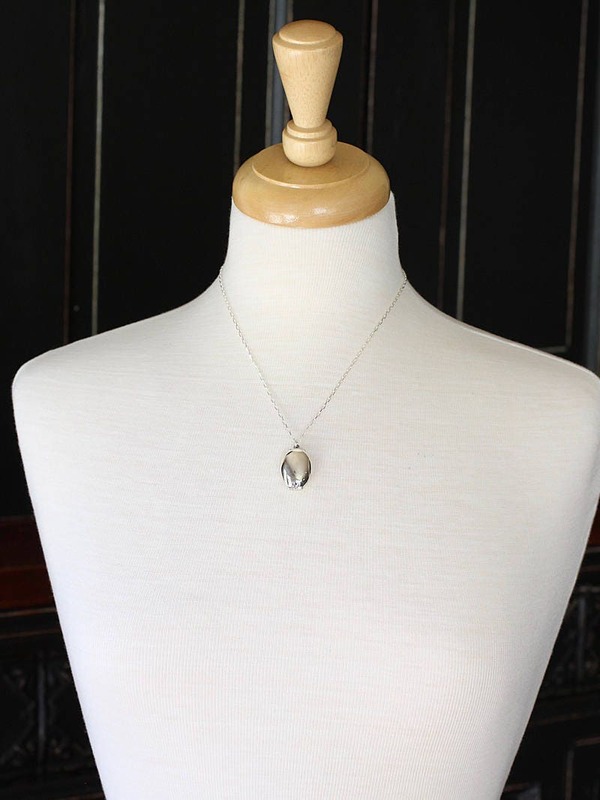 A small plain oval sterling silver locket opens to reveal four places ready to hold your beloved photographs. 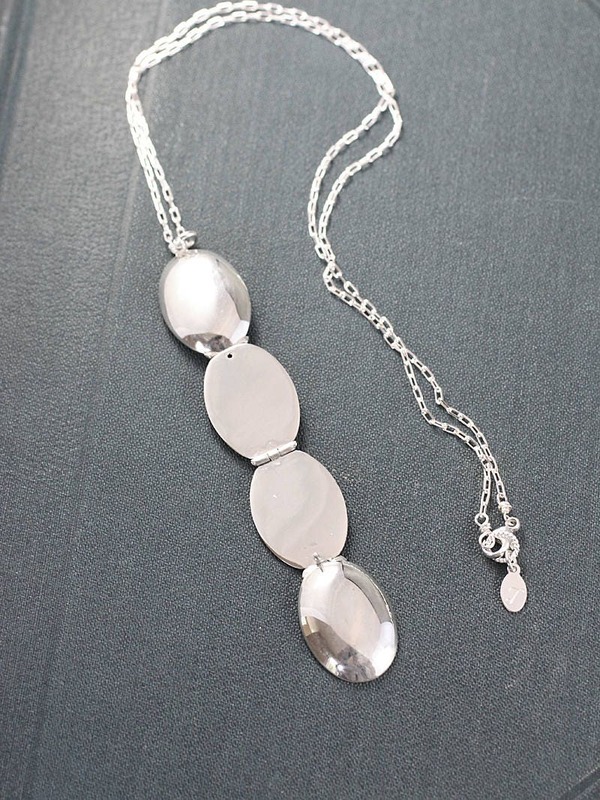 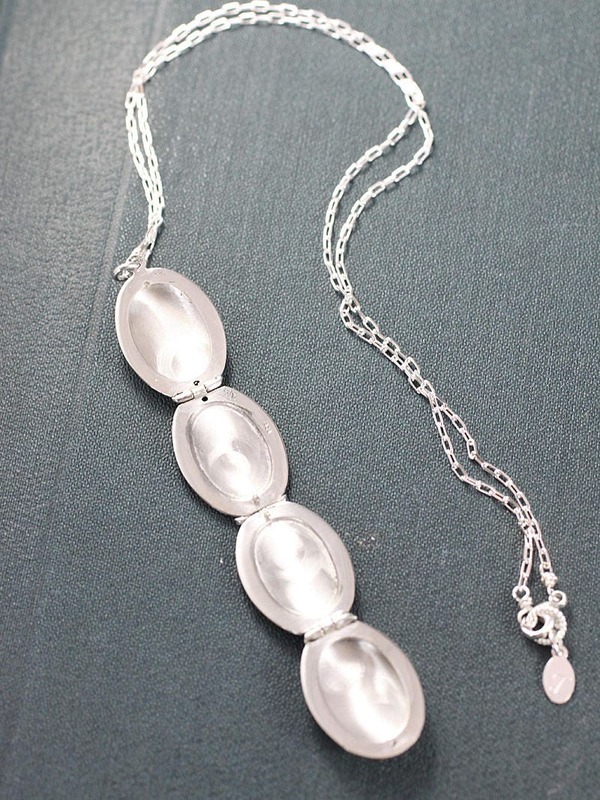 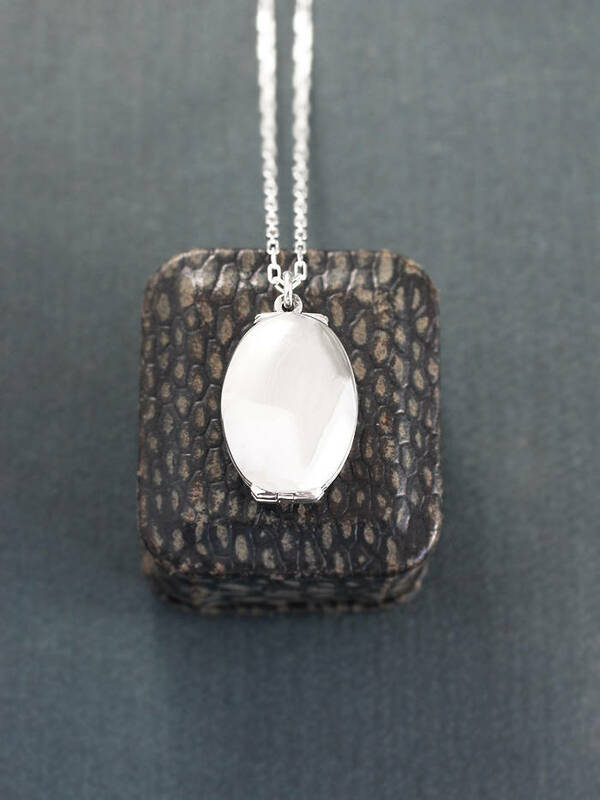 The locket is a wonderful smooth polished finish. 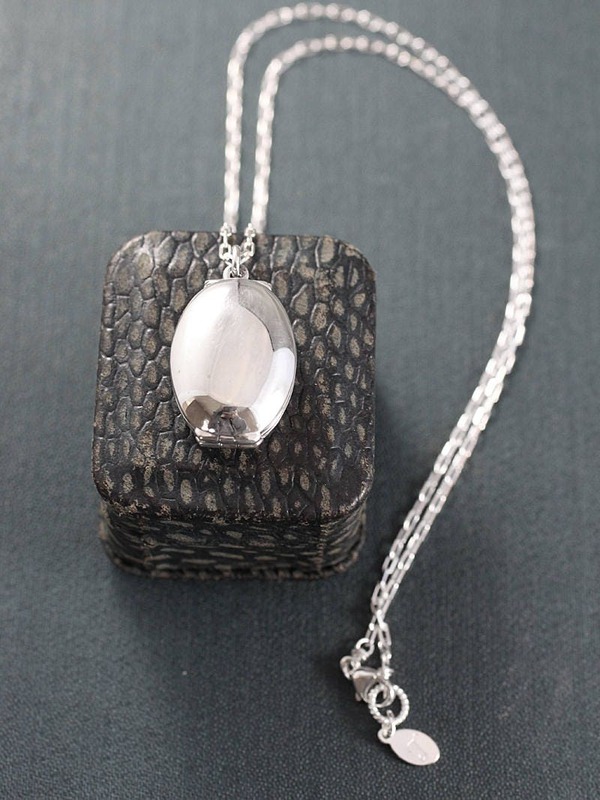 The locket is set on a sterling silver chain hand finished with a trigger lobster clasp and ring.